ROLLING MEADOWS, Illinois, Nov. 5, 2018 /PRNewswire/ -- Cambium Networks, a leading global provider of wireless networking solutions, today announced the availability of cnMatrixâ„¢ Enterprise Switches. "Enterprise IT managers, Managed Service Providers (MSP) and Internet Service Providers (ISP) need affordable enterprise grade solutions that satisfy end users," said Atul Bhatnagar, President and CEO of Cambium Networks. "cnMatrix enterprise switches and the cnMaestroâ„¢ cloud management system provide simple, secure, cloud-managed, affordable administration of a unified wired/wireless network." "Enterprises are looking to manage network complexity with a unified view of the entire network and having common policies across wired and wireless networks," said Rohit Mehra, Vice President, Network Infrastructure, IDC. "Cloud-managed enterprise grade switching, in conjunction with an enterprise wireless architecture, can deliver a unified access network while reducing the threat of security breaches and improving automation with policy-based configuration that eliminates error-prone manual configurations." 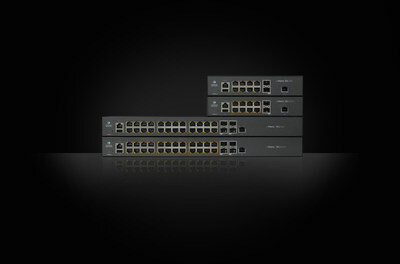 "Cloud-managed cnMatrix switching together with cnPilot Enterprise Wi-Fi solutions provide Intelligent Edge capabilities that improve network performance while reducing the time and cost of deploying and managing a unified wired/wireless network," said Rad Sethuraman, Vice President of Product Line Management for Cambium Networks. "Intelligent Edge solutions bring policy-based automation that simplifies operations and improves security. The network is more resilient to outages and users stay connected."